The invention of the coffee sleeve was a pretty clever bit of thinking outside the cup. 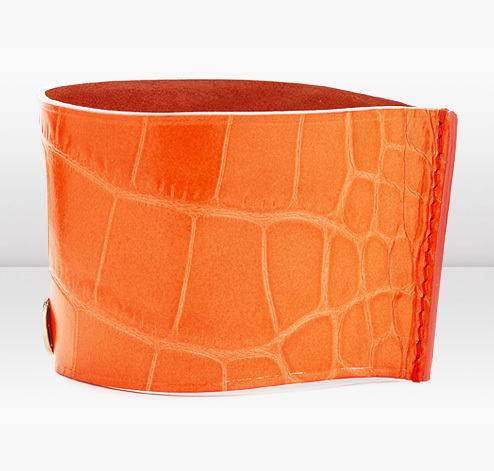 The Rika, a mock croc leather coffee sleeve from Jimmy Choo, is well… a pretty clever bit of thinking outside the pocketbook. Way outside at $165 a pop.